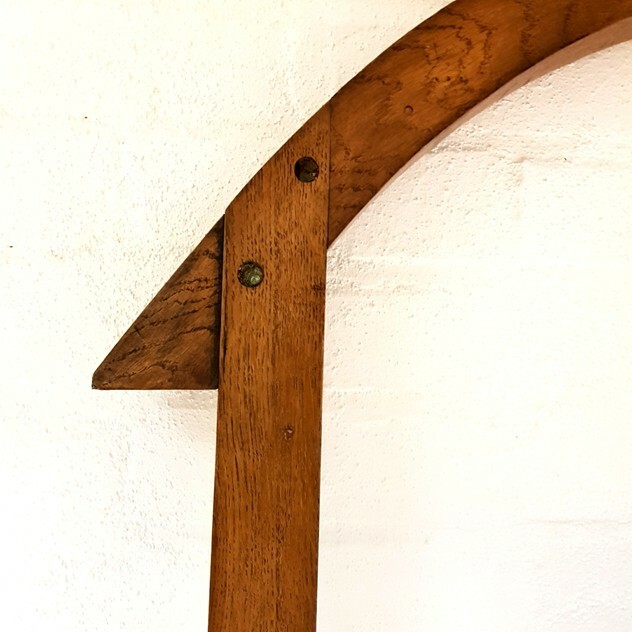 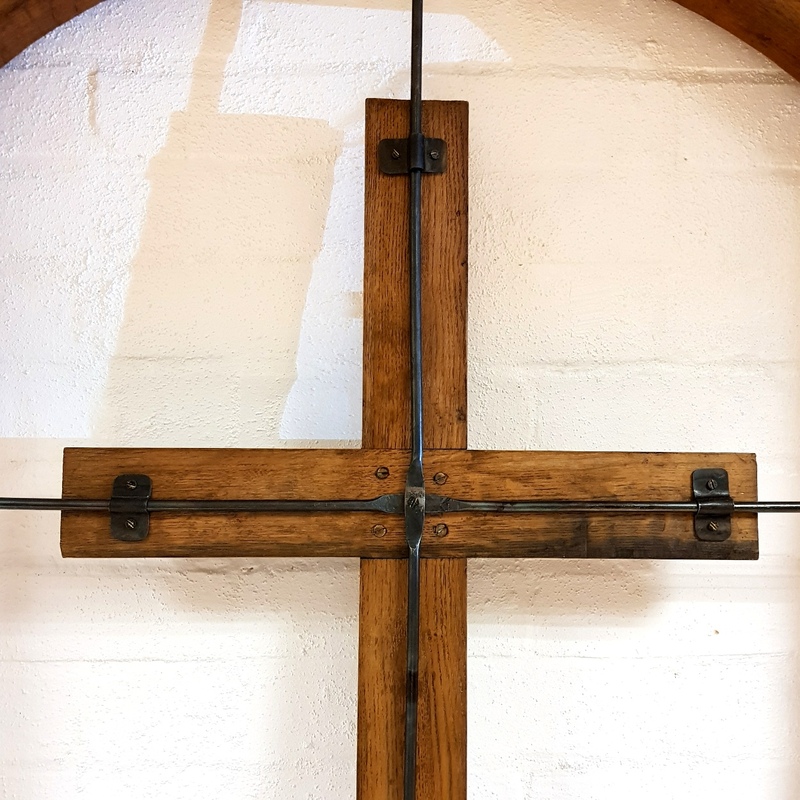 Large hand carved oak crucifix in an arched oak frame. 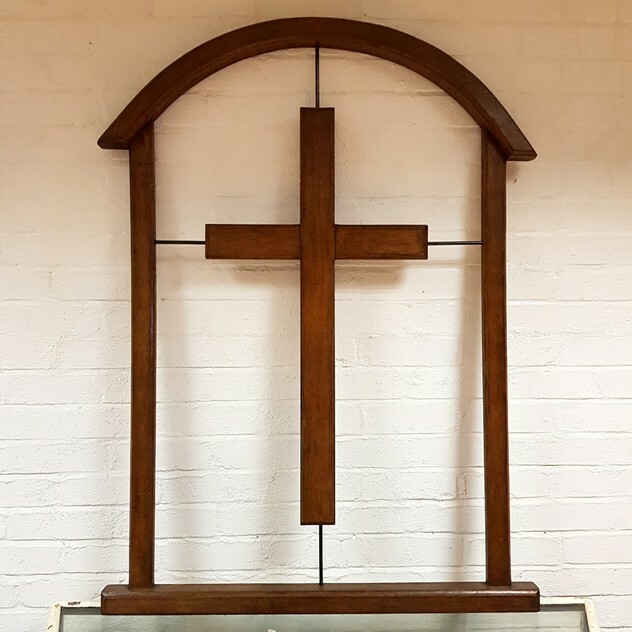 Dating from circa 1940-1950, this imposing piece is excellent quality and completely original. 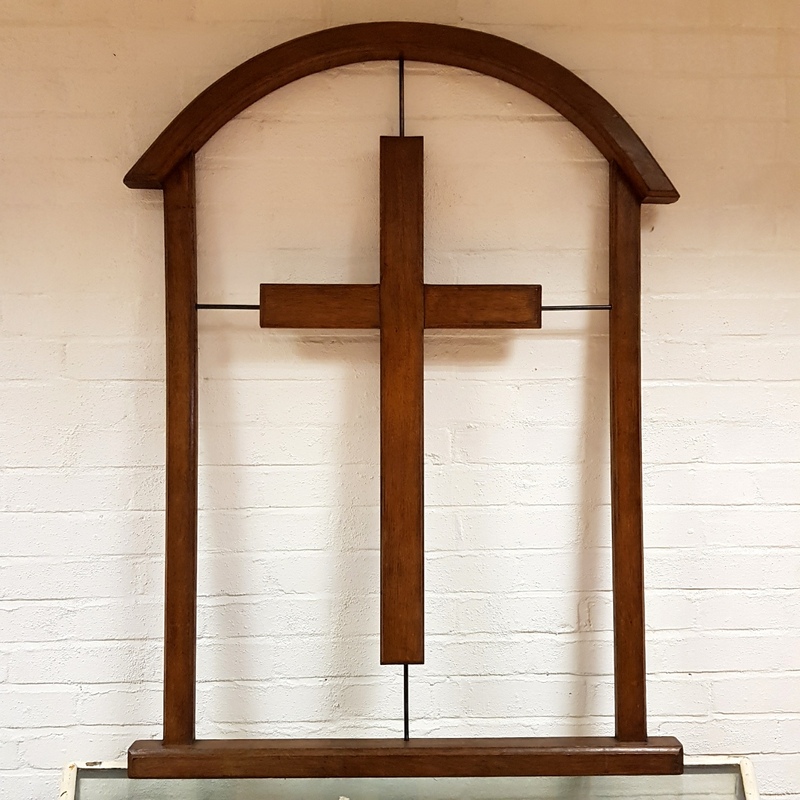 The frame is made from four pieces of hand cut and carved oak, and wrought iron bars are mounted to the frame to support the 2 piece hand carved oak crucifix. 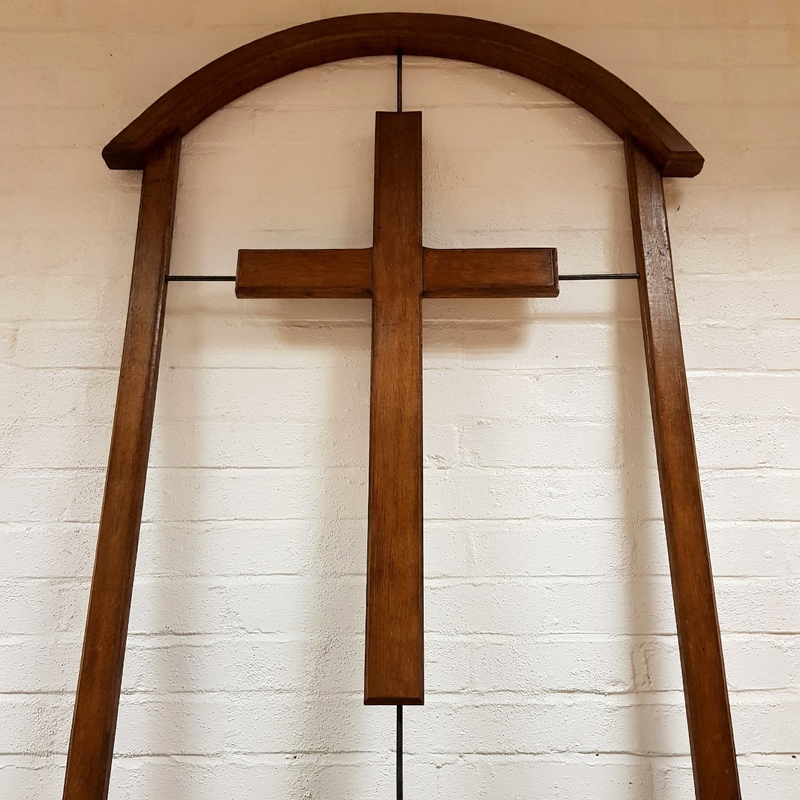 Has a lovely warm colour and in excellent condition.